Watch Manager Ashley Brown has been awarded the Telent Charity Shield for his outstanding contribution to the Fire Fighters Charity while the fire station has won the Dave Bishton Charity Shield for raising the most money for the Fire Fighters’ Charity over the past year. It was a record-breaking performance by the fire station to raise £11,500 – the most ever raised by any county fire station in a single year. In the five years that Ashley has represented Shropshire as the Fire Fighters Charity co-ordinator, fundraising has risen more than seven fold from £7,000 to £50,000 last year. The phenomenal achievement is due to Ashley’s organisation and encouragement to firefighting colleagues across the county to raise as much money as possible during their days off. He introduced charity car washes at fire stations, open days and supported individual charity events with businesses such as Sainsbury’s to increase donations. “We set up a competition between fire stations to raise as much as possible for the Fire Fighters Charity which is close to all of our hearts,” said Ashley. “It has led to a whatever you can do, we can do better, sort of competition. Over the past year, fire crews, family and friends have held raffles, packed shoppers bags and collected donations at the store. They have also given out fire safety advice about the importance of smoke alarms in homes which are tested weekly. The Fire Fighters’ Charity provides invaluable rehabilitation and recuperation services to fire and rescue services across the UK. It runs three national centres that provide a range of services to serving and retired firefighters, support staff and their dependents. The £9million a year it costs to run its services comes entirely from donations from the public and fire service staff. Bridgnorth Fire Station is one of 23 fire stations in the county. 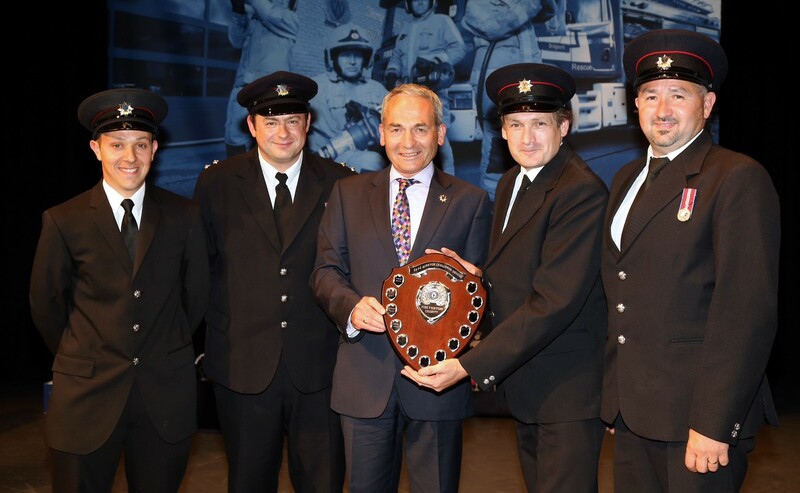 The awards were made at a Shropshire Fire and Rescue Service ceremony held at Theatre Severn, Shrewsbury, on June 11.